What's 'coalport imari demitasse' Worth? 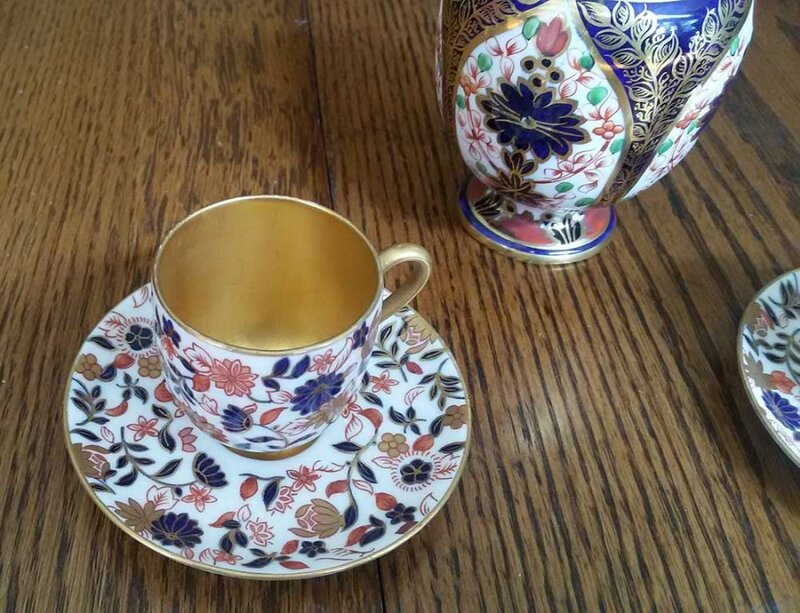 I have a set of 2 Coalport imari gold plated demitasse with saucers and a ginger pot. The cups and saucers are in good condition with some wear marks, The ginger pot was broken (it looks like it was glued a long time ago) From the marks it seems the pieces are from 1891-1920. I would love to know the name of the pattern and their worth.